Marion is an Assistant Professorial Research Fellow at the Grantham Research Institute. Marion’s research focuses on barriers to radical green innovation that arise because of the strategic interactions and interdependencies between firms in industrial networks. One goal is to identify institutions that can facilitate faster and more radical technological change and thereby complement price incentives. In the next few years, Marion intends to contribute both theoretically and empirically to our understanding of green growth, in particular how the imperative of green growth interacts with the current trend towards increasing automation, which is reshaping labour markets and macroeconomic constraints. To learn to contend with planetary boundaries in this century, Marion believes we must revisit our fundamental understanding of both economics and politics. Thus, in addition to searching for pragmatic and applicable policy insights, Marion is interested in developing the social science theory of sustainability. Some of the questions she would like to explore with others in the near future include 1) how do we move economic analysis beyond marginalist thinking, to take into account tipping points at multiple scales? 2) what are the strengths and weaknesses of different forms of capitalism to forge new growth paths for sustainability? 3) how can we institutionalize consideration of the long-term in governments and companies? 4) what allows a regulatory system to remain adaptive and experimental in order to effectively deal with change? Marion is a political economist, also trained as an environmental scientist, broadly interested in how to reform both economic and political policies and institutions to contend with planetary boundaries. Marion has previously done research on how environmental legal regimes develop, how they empower green constituencies and become capable of shaping the exercise of political power in a durable way. Marion holds a B.Sc in Earth and Atmospheric Sciences from MIT, a M.Sc in Environmental Sciences from the ETH Zurich, and a PhD in Sustainable Development from Columbia University (during which she trained as an economist and political scientist). 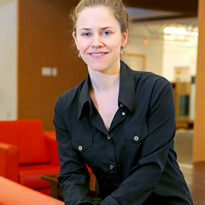 Before coming to LSE, Marion was an Omidyar postdoctoral fellow at the Santa Fe Institute.